Visit our website often for upcoming events. 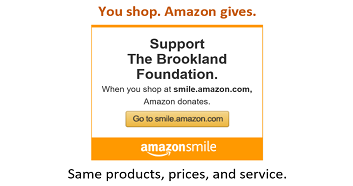 The Brookland Foundation is a community-based, non-profit organization established in 1994 to extend outreach efforts to the Greater Columbia community. Recognizing a spiritual mandate to improve the community, the members of the Brookland Baptist Church in West Columbia authorized an initial $100,000 endowment to establish the Foundation. 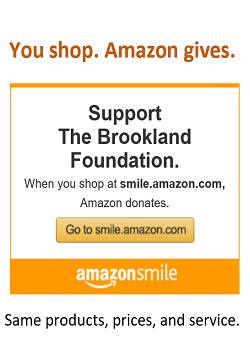 Educates our community with information that encourages the pursuit of optimal health and decreases heath disparities. 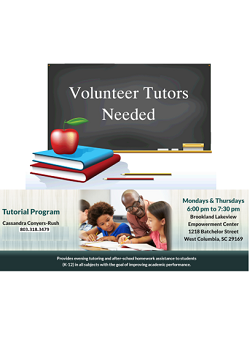 Provides evening tutoring and after-school assistance to students (K-12) in all subjects with the goal of improving academic performance. Promotes awareness and services as an advocate for the spiritual, psychological and physiological needs of the homeless individuals and families. Focuses on strategies and solutions designed to empower males and their families. Seeks to inform and educate the community about the HIV virus, while encouraging risk educations/preventive behaviors. 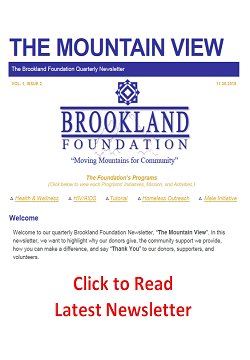 The Brookland Foundation's Quarterly Newsletter highlights key activities/events, support available to the community, and how you can make a difference. Vol. 2, Iss. 1 (Feb. 28, 2019) Click HERE to Read. Vol. 1, Iss. 2 (Nov. 30, 2018) Click HERE to Read. Vol. 1, Iss. 1 (Aug. 30, 2018) Click HERE to Read.